Hey crafty friends...Heather here to share a fun mixed media scrapbook layout! The picture is of my mother and daughter on a beautiful day at the park and I managed to snap this gorgeous view of them. 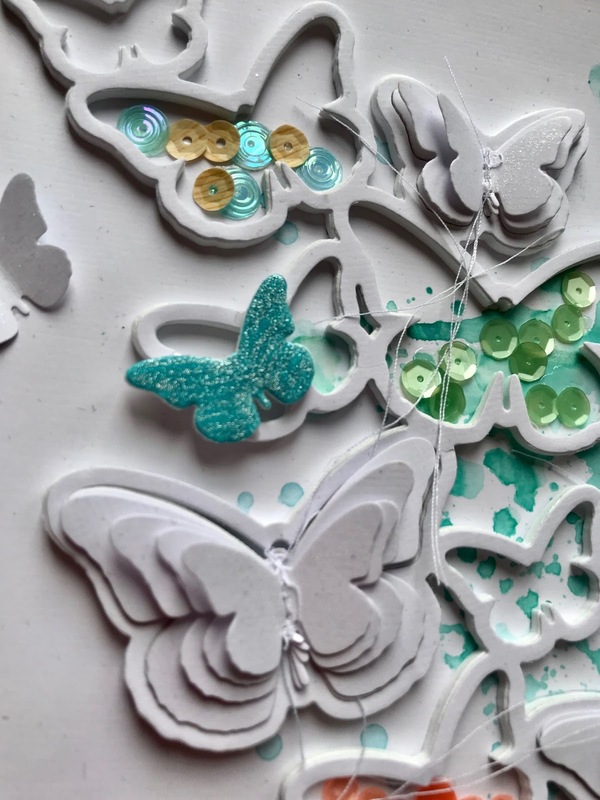 This layout was inspired by this fantastic Spellbinders Cascading Butterfly die. 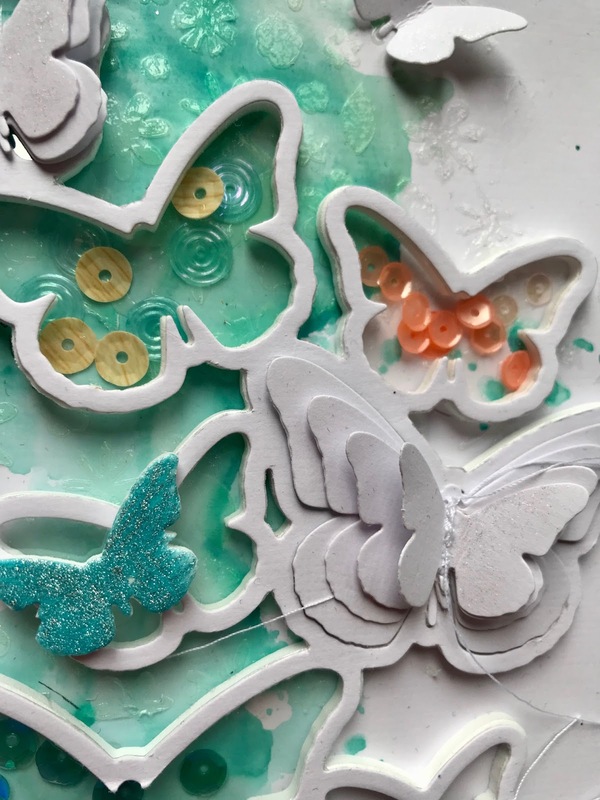 I LOVE butterflies and any product that allows me to use them and create different types of embellishments customized to match my project is a must have!! This die is approximately 4" x 6" and it cuts the outline of the butterfly cluster as well as the butterflies. I wanted to create lots of dimension and with this die and it is perfect to create little butterfly shaker pockets! I started with a piece of white cardstock and spread a layer of clear gesso so I could add some Distress ink to my background. Adding gesso allows the ink to spread easily without it soaking in to the cardstock too quickly as well as makes the background sturdy. It will still warp some, but not as much. I like to use clear gesso because white gesso does not ever match the white cardstock and the areas without the gesso will be very visible. I used Distress Oxide Peacock Feathers and Distress Oxide Broken China on my background by smooshing it with some plastic packaging....there really is no rhyme or reason to how I applied it, just random, but I always love the end result! 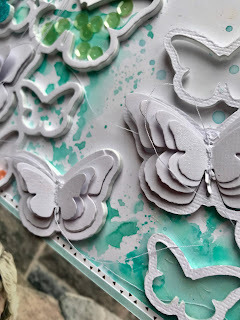 After the distress ink was dry, I used the Echo Park Easter Hunt Stencil with Dreamweavers Translucent Embossing Paste to create subtle texture. I like this translucent paste because it dries almost clear, but with a sheen to it so it doesn't disappear. It will still be highlighted over where the ink was applied. For the butterfly clusters, I cut it several times in white cardstock, fun foam, and clear acetate. I love the dimension the fun foam provides....you can cut most types of fun foam with your manual die cutting machine and dies to get your own foam thicker embellishments! I layered the cascading butterflies with fun foam using Stick It double sided adhesive sheets and two of them with clear acetate sheets. At this point, I wasn't sure how I wanted all of the butterflies to have an acetate top to it but it was much easier to just cut the entire shape in acetate then one butterfly at a time! Keep in mind, with such a large die and working with fun foam, you don't want to use quick drying liquid adhesive because you won't have a lot of wiggle room to get the layers straight! Use double sided adhesive sheets or glossy accents works too. Once I had the butterfly clusters where I wanted them I started planning which sequins to use and which butterflies to put them. I didn't want all of the butterflies to be filled in, but randomly selected a few. I filled those spaces with Pretty Pink Posh Fresh Mint Sequin mix, Neat & Tangled Sunset Shimmer Sequin Mix, and others from my stash. I adhered them with my precision top glue bottle. I love this bottle!! 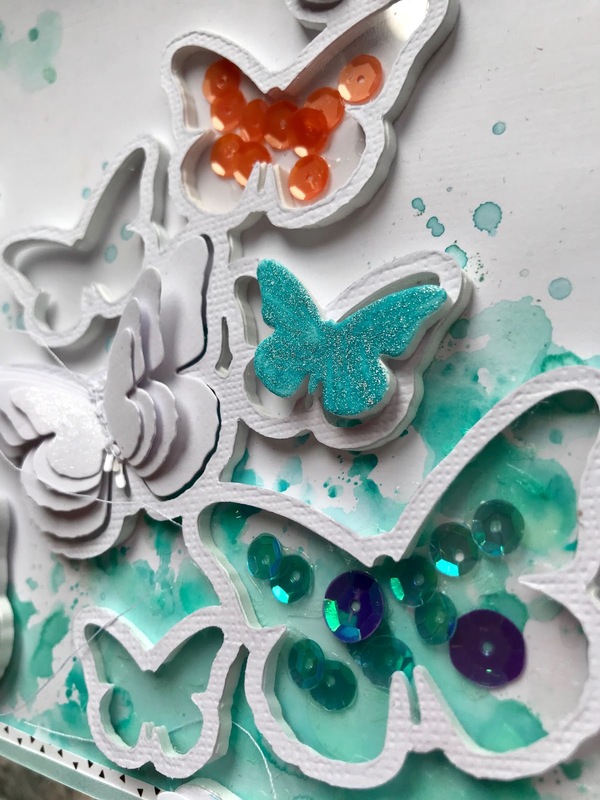 There were so many foam butterflies left over, I pull out my Tonic Athenian Blue Glitter Marker and they turned out beautiful! They were my own homemade foam thicker embellishments! For my title, I pulled word stickers from Pink Paislee Dream Thickers along with a couple of the matching hearts. I also had some foam hearts from a previous project that I colored with the Tonic Glitter marker. I love creating my own embellishments because they can be customized to fit any color scheme or theme! Thanks so much for stopping by! 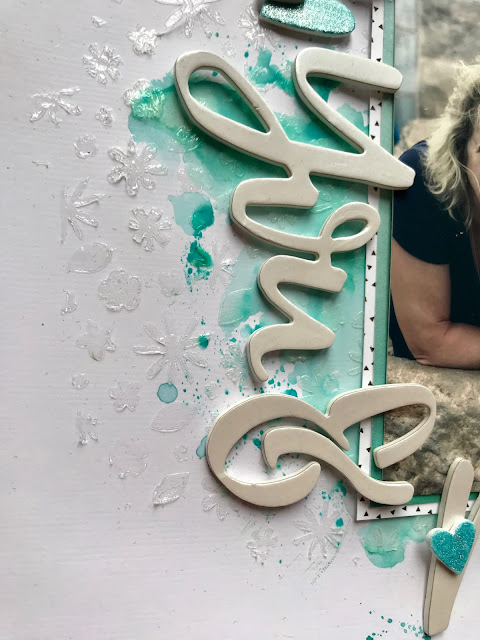 I hope you are inspired to create your own embellishments with fun foam, dies, and lots of shimmer! 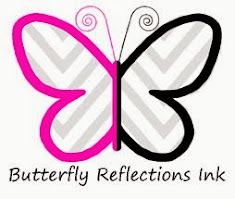 You can find these products as well as so many other dies you can use to create custom embellishments at Butterfly Reflections Ink online store. Id' love to know what you think! Please feel free to leave any comments or questions you may have below! Thanks so much! I will be back next Tuesday with another project. Have a great week! Absolutely AWESOME!! Love everything about this layout, even the placement of the tittle. Thank you for the detailed tutorial. Thanks so much Gisela! I appreciate your kind comments!